As a leader, an important discipline for your life is reading. It’s a key to your growth and your effectiveness. It’s also a discipline that many people don’t have. Early on in ministry my leadership was hindered because I didn’t value the discipline of reading. I’m not the only one who has made this mistake. I’ve heard many student pastors over the years talk about how they don’t like reading, or that it is something that they just don’t do. This is a problem, and ultimately I think it is a spiritual issue. God has called us to be leaders to a group of people living in one of the most critical times of life: the teenage years. Because of God’s call, and the magnitude of it, we should seek to be continual learners. 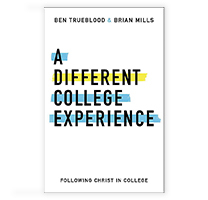 I’m often asked for book recommendations specific to student ministry so in an effort to encourage your reading and to answer this question I want to recommend a few books that have been helpful to me in student ministry. 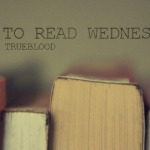 As with any book, there will probably be things that you don’t agree with in some of these and that’s ok. Allow them to challenge you and grow your leadership in student ministry. This is an older book that some of you may already be familiar with. Don’t let the title fool you. 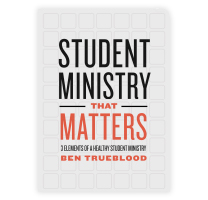 This book will help you if you are just starting out or if you are a student ministry veteran. There are many timeless principles that will help you as you are starting our or as you make course corrections to become more effective in your student ministry leadership. 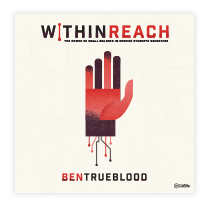 It takes a really practical approach and it is one that I have referenced many times in my own student ministries as issues have come up. Jeff is a personal friend of mine and someone that I greatly respect. He is a student ministry veteran and someone that knows how to lead and grow a thriving student ministry. The reality of student ministry, that you know, is there will be tough times. It is in these tough times that many decide to move to a new church or to leave student ministry altogether. In this book, Jeff discusses some principles for student ministry that will help you, as the title suggests, “last” in student ministry. It is a needed word and a book that I believe will challenge you to stick it out in tough times and give you a practical framework to do so. 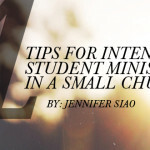 This one is obviously not student ministry specific, but I’ve included it in this list because of the value that it has brought me in student ministry throughout the years. It’s healthy for you to be challenged theologically, and it is healthy for your students to have that same challenge. There are several options for systematic theology books, but I chose Grudem’s because of the layout, approach, and the fact that he presents differing viewpoints on key issues. I have taken groups of students through this book in every church that I’ve served in, and have read it several times myself. The purpose here is not to create a group of people who are theologically prideful. Instead, any real study of theology should lead people to a greater love for and obedience to the Father. I hope that you find these books helpful as you continue to sharpen your leadership. Of course, there are more out there that I would recommend and will probably do so in a future post. I would also love to hear about the books that you have found to be beneficial to your leadership and ministry. Feel free to leave a comment below!